Good old index funds – a basket of stocks, bonds, or other investments that’s diversified and cheap! Index fund investing continues to grow in popularity, with almost ½ of the assets invested in the U.S. stock market today is owned through indexing, according to Morningstar research and 2017 stock market data. Is the S&P 500 Index fund diversified? Most investors would like to diversify their investments and reduce their risk as much as possible. One popular strategy for diversification and setting your investments on auto-pilot is the index fund. The S&P 500 index fund is the most popular of them all – containing 500 of the largest and most well-known companies in the world. With 500 companies in just that one fund, you’re pretty diversified, right? Not as much as you might think. Why? 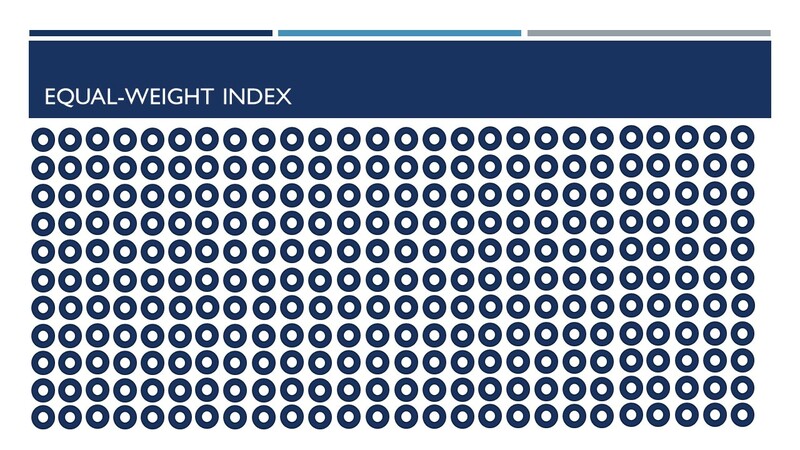 Because the S&P 500 index and other funds like it are market-weight index funds, meaning the largest companies make up the largest % of the index. So what you actually end up with is an investment where just the largest 10% of companies make up half of the index! Staring at this chart for an extended period of time will not cause a hidden image to appear. It may, however, cause seizures. And for that, I apologize. 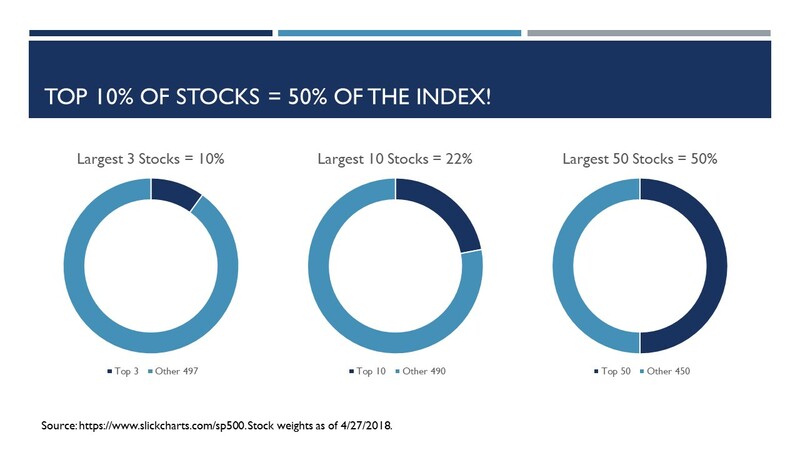 Many people mistakenly believe that the S&P 500 and most other index funds like it are equal-weight index funds, meaning that each stock in the portfolio represents an equal weight share. This is not the case with most index funds. What many investors don’t realize when they buy an index fund is that they can actually be more concentrated in a select few companies. And these concentrations tend to get bigger over time. Take the chart below as an example. Apple is the largest stock in the S&P 500. It represents 3.7% of the index (as of 4/27/2018). 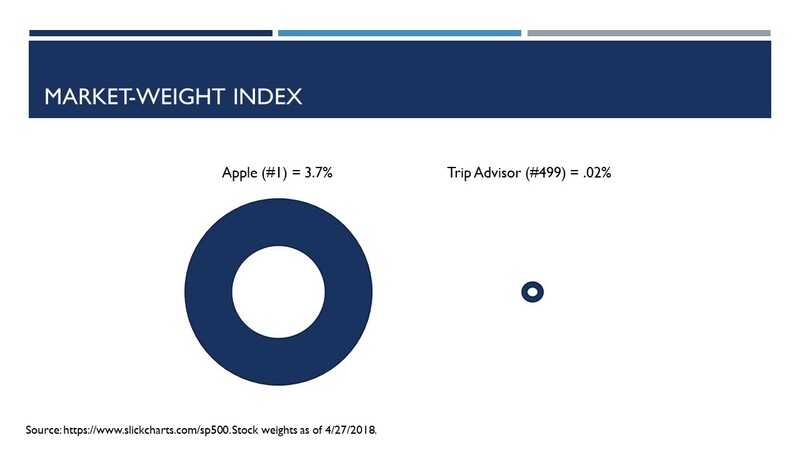 Compare that to Trip Advisor, #499 in the S&P 500, which is only .02% of the weight of the index. This concentration in a certain company or sector of the market actually sets you up for more risk and more volatility in your portfolio. The larger companies by market size continue to grow unchecked. Over time, the largest companies can become bloated and there is no mechanism to rebalance the index. Bloated sectors set the stage for a harder fall if/when the top stocks and sectors drop. The chart above shows the weights of 3 different S&P 500 going back 20 years – technology (in green), financials (in gray), and energy (in orange). Take a look at the technology sector around the year 2000. Notice how the sector as a % of the S&P 500 grew tremendously from about 12% of the index to 33% in just a couple years. By the time the dot-com bubble burst on the tech stocks, this sector was the largest in the S&P 500, which led to a bigger crash in the market. The same pattern emerged (although less dramatic) in financial stocks just before the market crashed in 2008. For most of the 2000s, financial and bank stocks comprised 22% of the S&P 500 index. Again, this sector’s weighting in the S&P 500 index was bloated (historical average = 14.7%) right at the worst possible time – when financials were hit hardest during the financial crisis. These sectors were bloated compared to their historical weights and caused the index to crash harder than it otherwise would have if there was less concentration in the index. 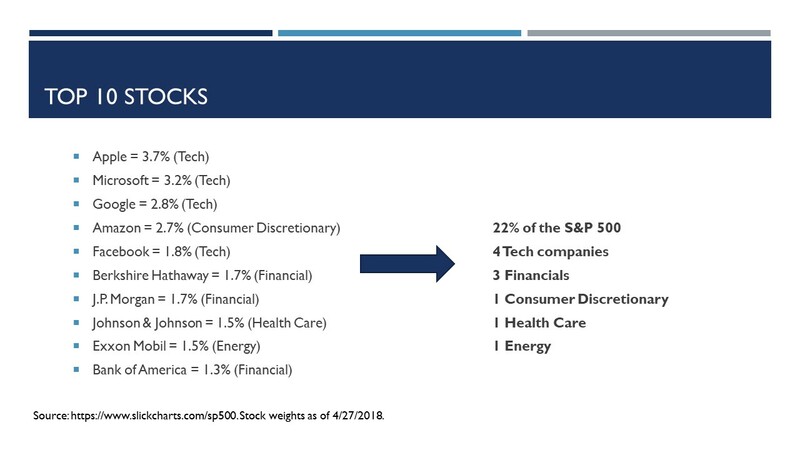 If we really look under the hood (see below), you’d find that 22% of the weight in the S&P 500 is represented by just 10 companies and 5 sectors. Not as diversified as you thought, right? This concentration of companies and sectors isn’t really a problem until you have a recession and a downturn in the market. The most overvalued and bloated stocks have historically crashed hard in the downturns (think tech in the dot-com bust in the early 2000s and bank stocks in the financial crisis), so it’s not much of a surprise that the S&P 500 takes a big bath when the stock market gets ugly. The concentration of individual names and bloated sectors can lead to bigger falls. And that is the hidden danger of index funds! It’s crucial that you understand what you really own when you buy an index fund. Don’t assume that an indexing strategy is safe and prudent. 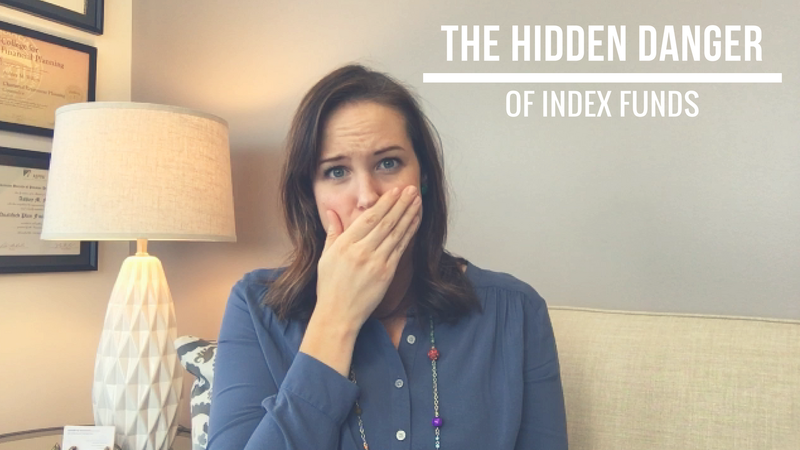 Indexing carries with it its own set of risks, so be sure to always know what you own and look under the hood! Index funds aren’t bad investments. We recommend them to clients all the time. Most of the 401k plan clients that I advise offer a S&P 500 index fund in the fund lineup – that I selected! But the gospel that is preached about investing in index funds, tries to oversimplify the process of investing by promoting the purchase of a market index fund as a holistic investment strategy. The world’s richest stock picker, Warren Buffett, famously recommends that most people would be better off investing in the S&P 500 over the strategy that made him so wealthy – stock picking. There’s wisdom in his advice, but it’s important to understand WHAT you actually own when you invest in an index fund. Or any fund for that matter! So ask questions. Look under the hood. Know what you own. Don’t just assume that all funds are diversified. They’re not! 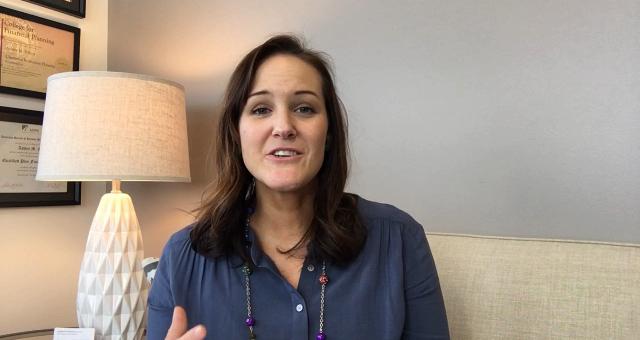 Do you have questions about your specific situation? We offer a free 15-minute consultation – no pressure, no sales pitch. Lastly, a special thanks to www.slickcharts.com for compiling all of the data for this post! Their continuously updated, easy to find stats were a lifesaver for me in compiling the stock weighting stats for this post.